Back in the office after being out for 3 days and the shear amount of work I had waiting for me was daunting. 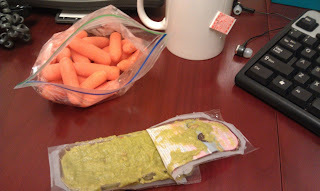 It was one of those days where I had to stop and remind myself to eat because I was so busy. Luckily, I had a big breakfast and that carried me through the day! Yay for protein! 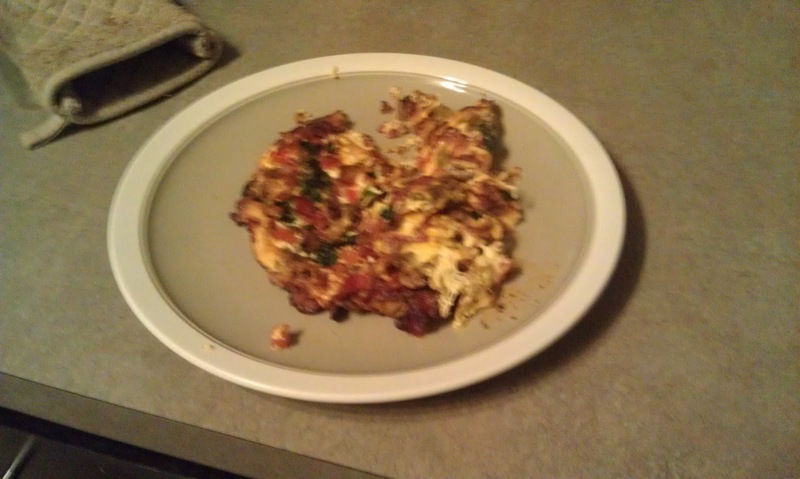 It might not look like it, but this was suppose to be a frittata! 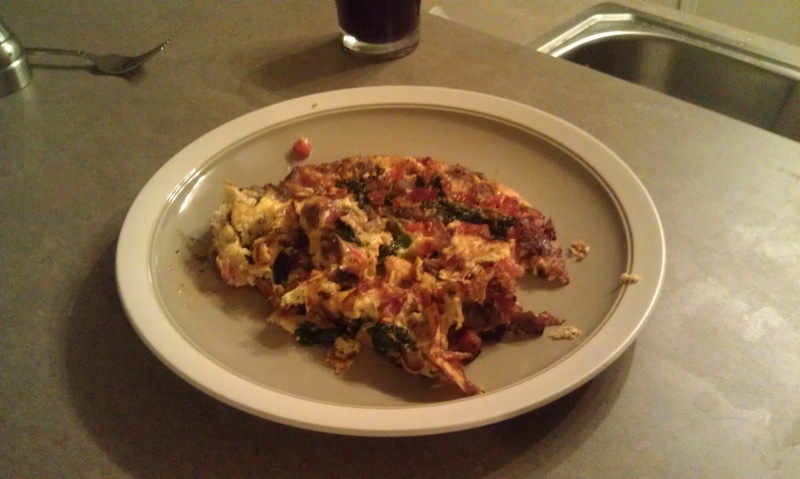 There is really no difference (at least to me) in a frittata and just throwing things together in an egg scramble. One of the main differences is the time! 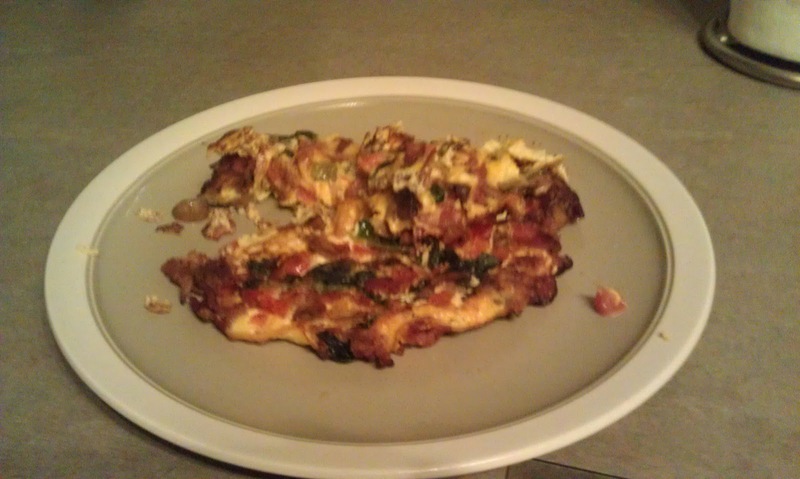 A frittata takes a bit more time because I usually finish it off in the oven. So the only reason why I take the time to make a frittata is when I want leftovers for lunch. There is something about heating up scrambled eggs that grosses me out but heating up a frittata is completely acceptable. ( I know...weird) Despite my attempts at making a nice frittata that could be split for lunch, I ended up with something that was very close to an egg scramble. So I ate it all for breakfast. opps! 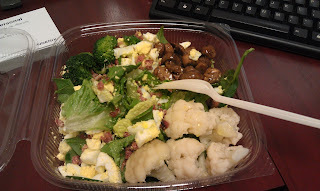 I had to hit up the salad bar today. A mixture of cauliflower, broccoli, spinach, boiled eggs, and mushrooms. My favorite snack, carrots and a packet of Wholly Guac! So, I have made this several times and can't figure out why I like it so much. 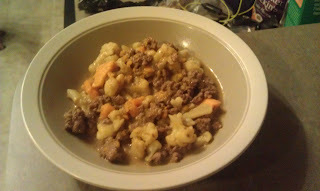 It doesn't look very appetizing, but it always hits the spot on a cold day. It also reminds me of Hamburger Helper! Did you eat that growing up? I did! So maybe that is why this is a bowl of comfort for me. All mixed up in this bowl is ground beef, coconut milk, curry, cauliflower and sweet potatoes. Judge if you wish, but I had two bowls of this and was totally satisfied!